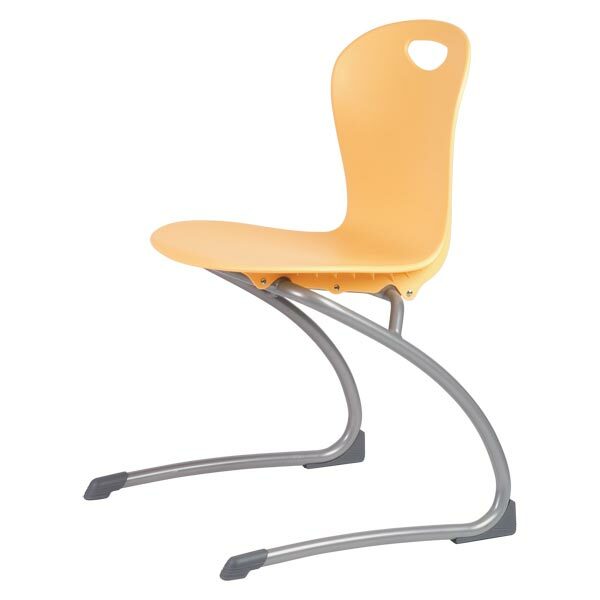 Vircos Zuma Cantilever Chair is an elegant alternative to traditional classroom seating. The organic curves of the tubular steel frame and the ergonomic soft-plastic shell make this chair as durable and comfortable as it is striking. It is available in 16 distinctive colors and your choice of frame finishes. The seat height is 19". Designed to nest with the ZDESK Cantilever Desk.